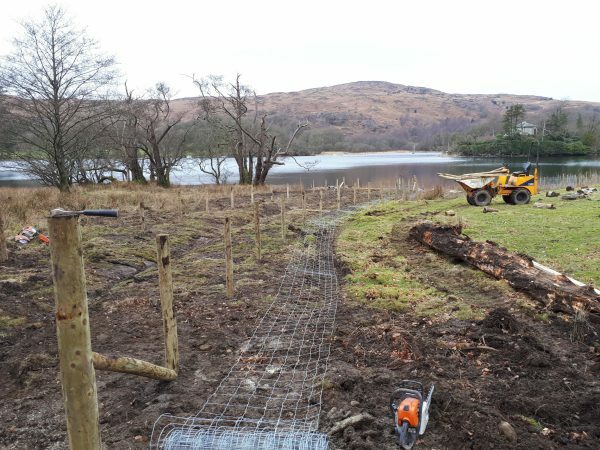 One of the projects identified as part of the Buried Becks initiative was the culvert through Water Park Lakeland Adventure Centre, situated on the southeastern end of Coniston Water. The beck which flows down from the hills above the outdoor centre is culverted as it reaches the road. This underground water course then carries on for a further 140 metres buried in the grounds of Water Park, before it enters the lake. 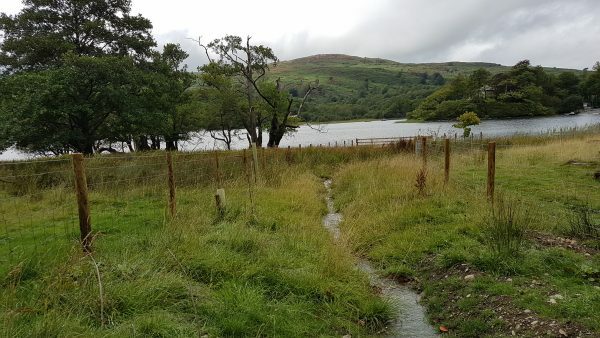 De-culverting the beck would create an open water channel with better in-river and riparian habitats, benefiting aquatic species as well as a wider range of wildlife. The first phase of the project was to create the new channel. This involved digging a new path for the water to flow along. It was important that the route of the watercourse follows the lowest pathway within the landscape, replicating the natural process of river channel formation. The new channel was created in spring 2018. This would then allow the banks and bed of the new channel to stabilise and colonise with vegetation before allowing the water to flow. Had the water been allowed to flow too soon along the channel then there would be a strong possibility that the newly created banks would rapidly erode resulting in the movement of soils and silts downstream and into the lake. Following a waiting period of 3 months the beck was finally connected at the end of July 2018 and water was allowed to flow. Local volunteers will help with a variety of monitoring and survey work both in the beck and the along the new buffer strips. This will include carrying out moth trapping, buffer strip surveys and riverfly sampling. We are looking forward to seeing how the new water course recolonises and blends into the surrounding landscape. 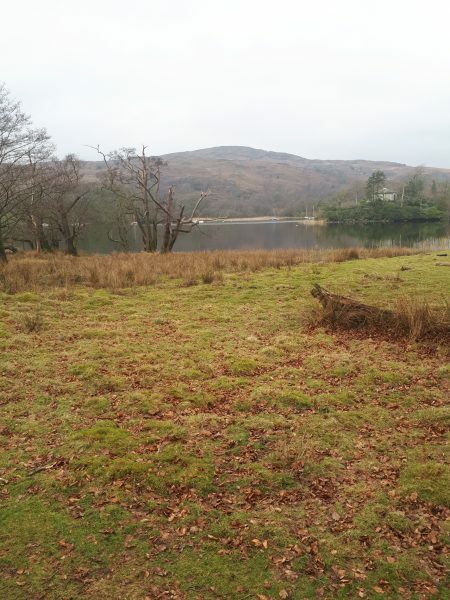 Water Park are looking forward to using much improved grounds for habitat work with both residential and day groups.